STAND UP FOR THE ULSTERMEN! So they changed the rules to cater for Racing? How so? We would never play a Euro semi final in the RDS. Come on .... it’s not great when we play 2 games in the RDS and 2 in the aviva yet we can call the RDS our home and the aviva a neutrral. It makes sense for everyone that we play a semi in the aviva so I’m glad the rules now take away any ambiguity as to wheather it’s fair. In fact I’d say it was changed primarily for us. We're always played our semis there except for when it was being done up and we used Croke Park. The rules were there to stop us using the RDS or Donnybrook. Anyone who thinks otherwise misunderstood the letter and intent. There was some grumbling from Scarlets, but they were in the misunderstanding bracket. For a small few sides, moving is counterproductive. I can think of 2, they are both possible venues this year. It is nothing at all to do with us. 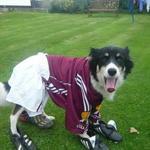 ronk wrote: We're always played our semis there except for when it was being done up and we used Croke Park. I know they can be delusional, but Munster bigger than New Zealand? Huh? No way was Munster one of the biggest games he's played this season. Given that we had no hope of winning the tournament today the All Blacks game was probably bigger than Wales as well. As well as a lot of other excellent performances. His average level of performance has still been much better Byrne's this season, and either way I don't think Leinster should be basing their selections based on international form, it's a different ballpark. It would be like Schmidt basing his Leinster selection on how his players played for Ireland under Kidney. Dave Cahill wrote: It would be like Schmidt basing his Leinster selection on how his players played for Ireland under Kidney. When has Schmidt ever cared how anyone played for anyone else? I've zero doubt that Sexton will start the Ulster match (assuming fitness) but I'd hope that if he continues to stink up the place we won't wait until the 73rd minute to replace him. Don't think Byrne blew the lights off against Toulouse or Wasps either though to be honest. His level of performance hasn't been higher than Sexton this year at all. And Sexton is captain, club legend etc, and anyway performances in green should have no bearing on our selection. I thought Ross Byrne's performance against Toulouse was excellent. He made multiple carries, put in a strong defensive shift and created that memorable and all important game breaking try for Dave Kearney through,yet again, his super accurate boot. 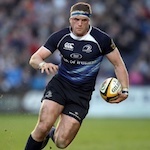 wise7 wrote: I thought Ross Byrne's performance against Toulouse was excellent. He made multiple carries, put in a strong defensive shift and created that memorable and all important game breaking try for Dave Kearney through,yet again, his super accurate boot. I thought it was decent but if Sexton played the same game we'd just move on and wouldn't comment on it. But the point is that Sexton wasn't selected to play the Toulouse game and therefore didn't play. The topic being discussed is whether Sexton or Byrne should be selected against Ulster and based on form the more in-form player should be given the start in the interest of the team getting the result needed. 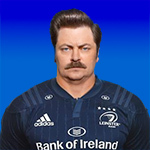 Sextons form for Ireland is irrelevant. Completely different style of play and with a glacial service from his 9 means the defence was constantly in his face.